The ultimate Jaguar F-TYPE Tuning : The Jaguar F-TYPE 600Rx – 600bhp under the bonnet of this classic sports car. Eye-catching, head-turning king of the road. A genuine two-seater sports car with sleek Jaguar racing lines, combined with modern technology delivering outstanding performance. Already a true style-setter’s car, VIP Design London has given the Jaguar F-TYPE a makeover to give it the real ‘X-factor’. We know that your Jaguar F-TYPE is already your pride and joy, but what if you could make it look and feel that little bit more special? Cool, confident, classic lines combined with a little extra bling and performance under the bonnet see it here. 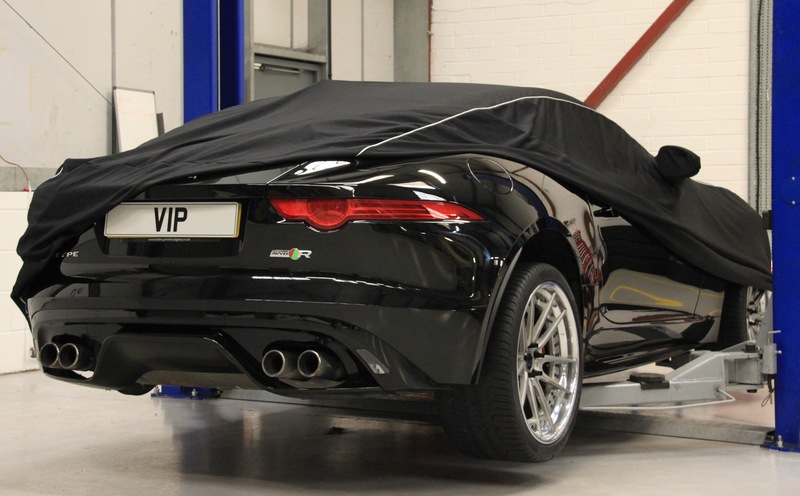 With performance being the most important requirement, VIP technicians spent over three weeks perfecting the Jaguar F-TYPE’s ECU remap on a 3000bhp rolling road, with live tuning, data-logging as well as emissions testing. The end result is a tuned engine which provides a staggering, additional 50bhp taking it to a massive 600bhp. On the outside, carbon fibre bonnet vents add an artistic touch, with front and rear carbon fibre splitters and unique carbon fibre rear diffuser help this beauty stand out from the crowd. And let’s not forget the wheels – the optional extra hand cast aluminium rims in burnished gold add a subtle bling, but if gold isn’t your colour the other 27 different colours and 24 different design options will ensure you find something you like, and the VIP team can help you decide on the perfect match for your personal style. Suspension has been lowered 30mm all round adding to the Jaguar F-TYPE’s poise and stance while the uprated bush kit provides tougher, firmer suspension improving responsiveness on the road. 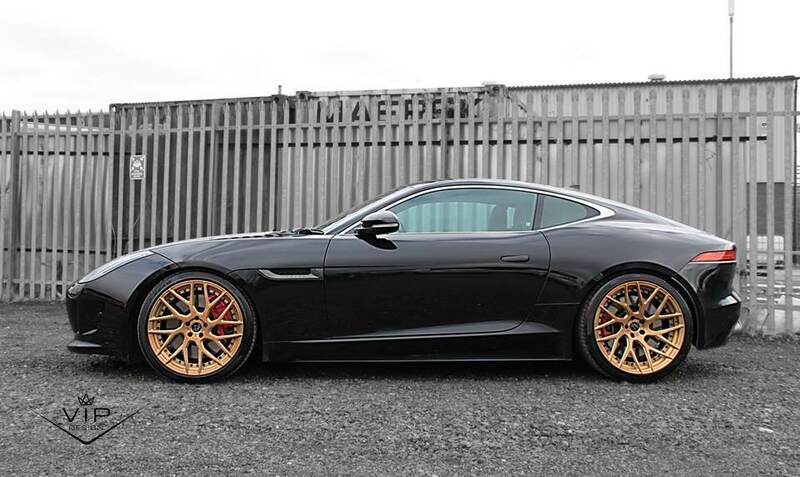 The Jaguar F-TYPE’s uprated supercharger pulley is part of our secret recipe, which combined with the ECU software remap delivers hugely dramatic reductions in 0-60 times and power delivery across the whole rev. range. To complete the Jaguar F-TYPE Tuning transformation, the full manifold back high performance exhaust system is not only a super-stylish addition but it really sounds the part. You can hear how amazing this sounds by looking at our video here and take this baby on a virtual test drive. To find out more information about the Jaguar F-TYPE 600 Rx please click here, email enquiries@vip-design.london or call +44 (0)1789 774444.